This week I had some time to start with the new certification series from Microsoft. 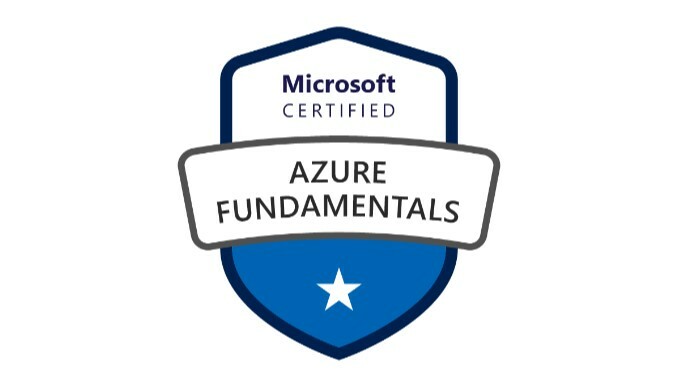 I started with the certification exam “Microsoft Azure Fundamentals AZ-900“. This exam gives a basic overview of Microsoft Azure and Cloud Computing in general. I recommend Azure Fundamentals exam to anyone new to cloud computing and especially Microsoft Azure. While learning you will get a good overview of Microsoft Azure. For the exam itself, it is important to have a good understanding of cloud concepts. For this reason it will not be enough to use only Microsoft Azure documentation or the Microsoft Learning Portal. Therefore I recommend to unlock a free Azure Pass and experiment with $200 for 1 month. I hope there are some readers who will take this exam soon and I’m looking forward to your feedback.